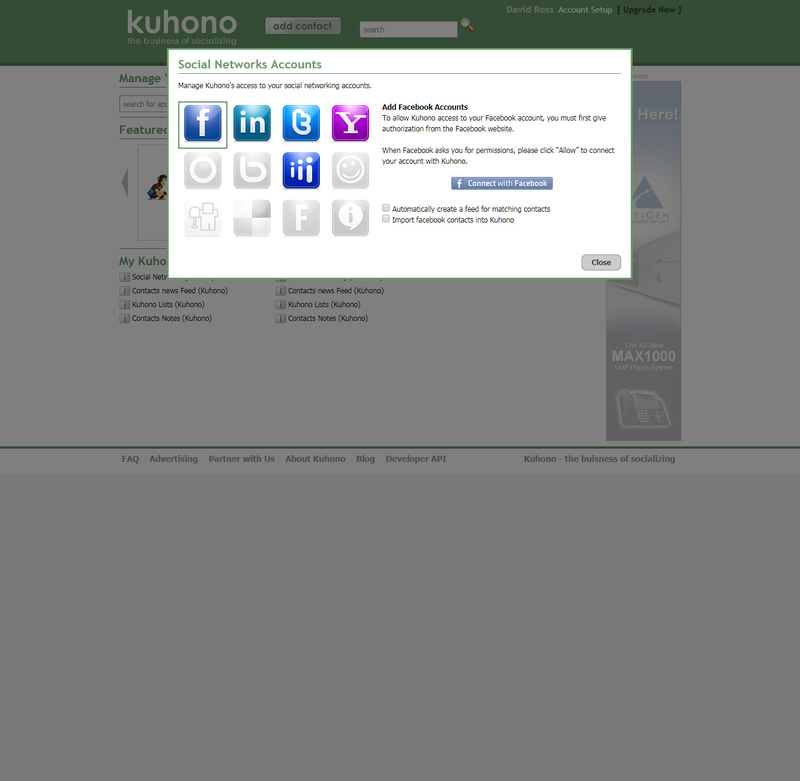 Kuhono Provides a Technology Infrastructure centered on Social Network Aggregation and Business Content Management. 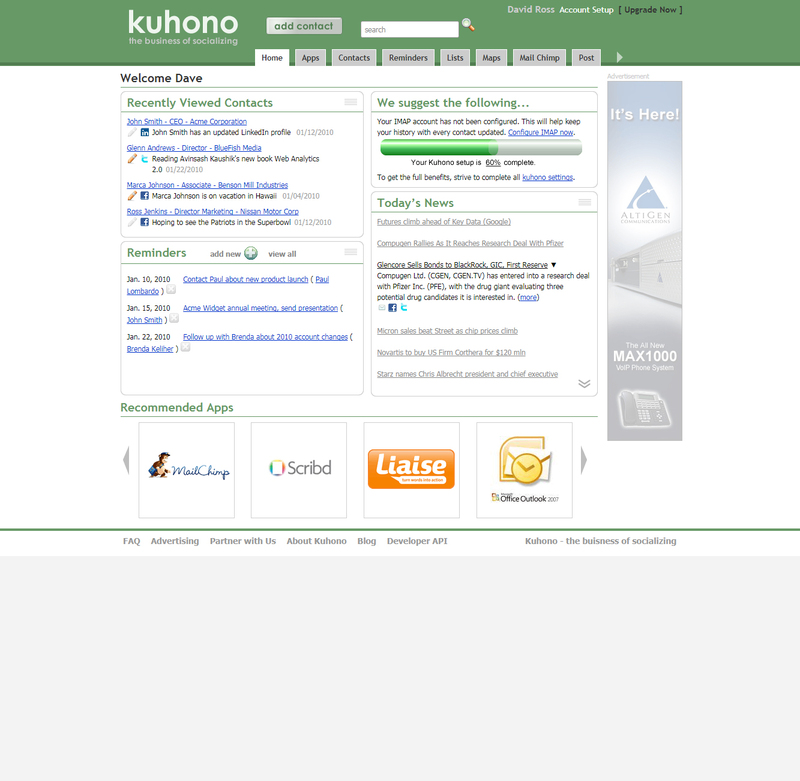 Kuhono is a cutting-edge, web 2.0 application built on a scalable & distributed platform to support heavy traffic. It uses the latest and most complex of social API’s, search algorithms, synchronization frameworks and integration methodologies. 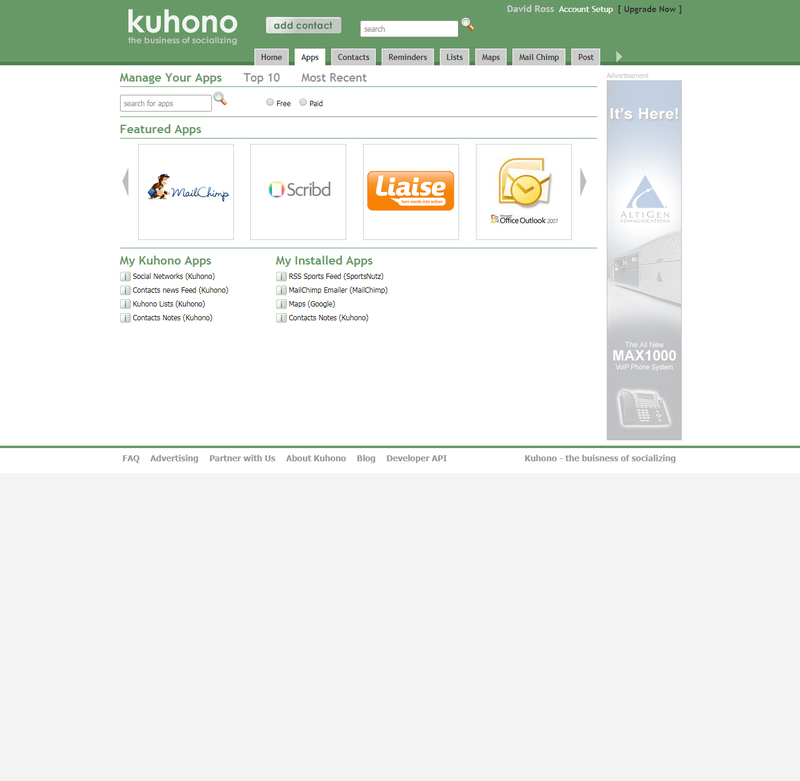 Kuhono is owned by An Ex-CMU alumni and a serial entrepreneur who has worked in the technology consulting domain for over 3 decades and held many senior executive positions like CIO at various firms like Jannsen Health, Stone consulting, etc. Sync, Read and Pull contacts from gmail, Facebook, Lin and all social networks mentioned in bullet #1. A user usually has many contacts on networks like Linkedin. E.g. One may have 500+ connections. 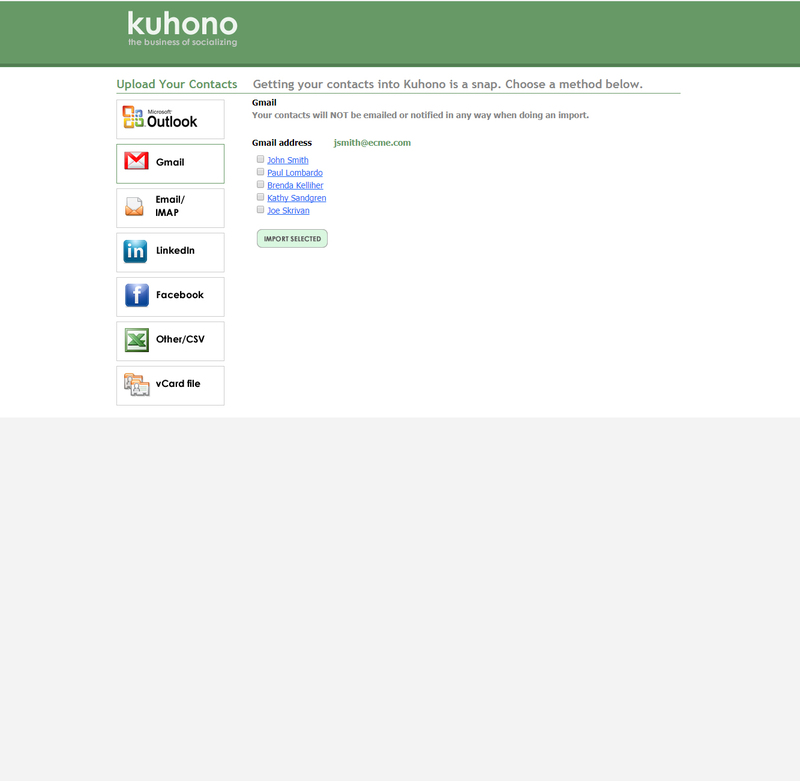 Pulling all these connections and tracking their activity and displaying on Kuhono in real-time without causing much delay to the end user was a major challenge. We implemented batch processes and crom jobs that updated the database and undated the search index in background so the frontend could just pull in the new data using an api. Started operations and then merged with another product for mass scaling.